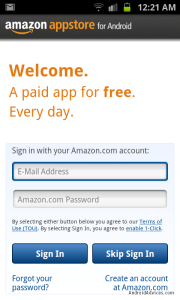 By the time you would be aware of what buzz Amazon AppStore has created. Many users were eagerly waiting for it and Android users from United States were first to taste it. For your information, Amazon AppStore is the competitor of Android Market and provides a free app giveaway daily. With the news that Amazon AppStore first spotted in US where it was offering one paid app for free download, everyone was overjoyed and users looked to sign up with Amazon AppStore using US address. For United States users there is no hitch on using the Amazon AppStore, it works perfectly fine and they are enjoying one free paid app daily. Now users around the world shouldn’t be panic and look for alternatives of cracking Amazon AppStore who likes outside United States. Here we have the news that Amazon AppStore has launched outside United States although the penetration of this news is not so quick but they have made it available. We have come across few reports from many sources from places such as United Kingdom and Netherlands. 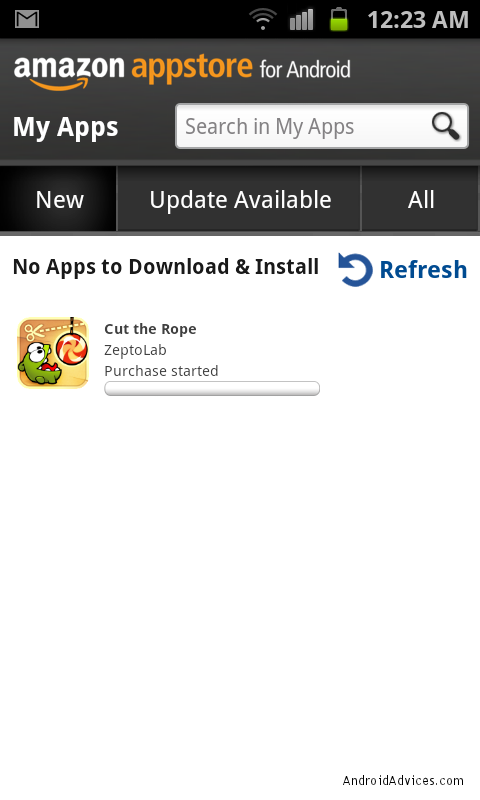 Also users from India were lucky to get this Amazon AppStore. For many users its live and working on their mobile phone. For users who live in Canada can also try out using Amazon AppStore on their mobile phone and good thing is that it can be installed on any phone running on Google powered Android operating system. This seems to be a very good news for the Android users and interesting the news that one paid app for free officially from Amazon makes it a killer news. Next you will have to signin to your Amazon account if you already have. If you don’t have any, you need to ensure that you have your Credit Card ready because that’s required to be entered when signing up for a new Amazon Account. Following this once you have logged into your account you can find all the apps listed in a very good interface. Update : This app is not yet available in a few countries like India, but it was available randomly for a day and amazon pulled it off without giving any reasons for the same. You can try it out regularly and see if you are able to download these paid apps for free on your mobile and let us know about the same too. Hi, i believe that i saw you visited my web site so i got here to go back the choose?.I’m attempting to find things to enhance my website!I assume its adequate to make use of some of your ideas!! Hi all, I’ve just released an android app \Market Unlocker\ to tackle this problem. It will set both a USA proxy and phone properties to work with Amazon Appstore and Android Market. You only need find and configure a free USA proxy server on the app. Then all traffic to Amazon will route the USA server, makes it looks like you’re real us user. Remember you need register Amazon with US credit card and billing adress as well. I am from India. Cannot download. 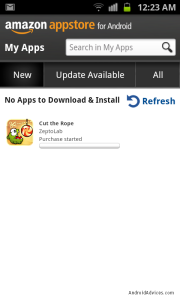 Says “The Amazon Appstore for Android is not yet available in your region”. I have entered my address and credit card details yet no luck. 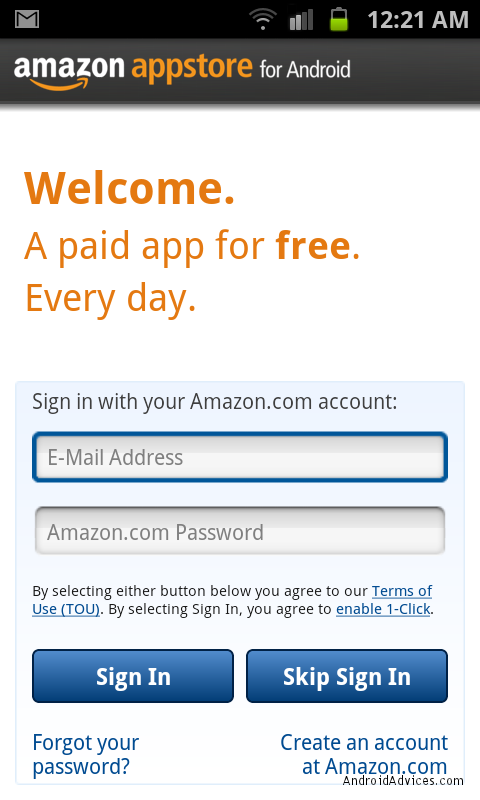 You need to Add Debit / Credit Card for accessing the amazon app store. Though no money will be deducted, the debit / credit card needs to be added without that you can’t download. Nice article but when i try to download it on android device it ask me to complete the payment option and i don’t have any type of card with me. Atleast a credit card or debit card is required, there are no charges but you need to add a card. The app is available for everyone as of now. Check that out. 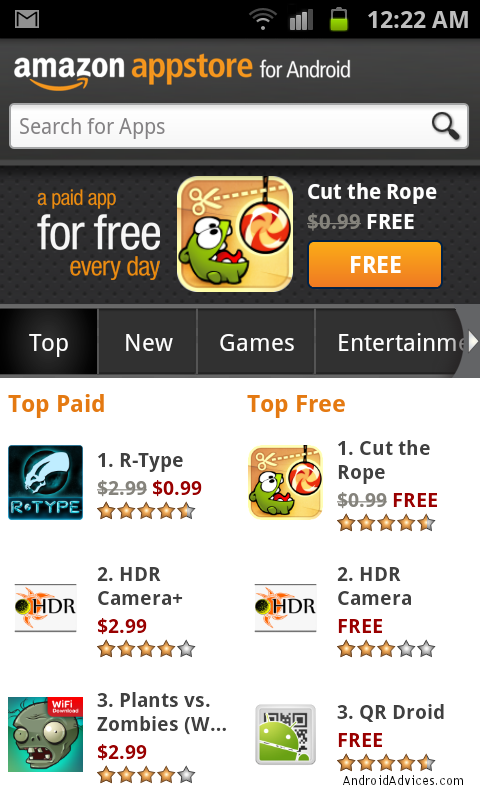 That’s why I say few reports the availability of Amazon AppStore, maybe its not working on your phone or carrier. Its not available worldwide officially but you can still give a try and check if its available for you. Soon it will be available for everyone. Still Amazon apps store in Taiwan. Geographical restrictions it seams. But when i try to download that daily free app it gives a message to set payment settings in my account..